Search for Pollock news on SeafoodNews.com. SeafoodNews.com, the most widely read seafood industry news in North America. The search returned 81 results. 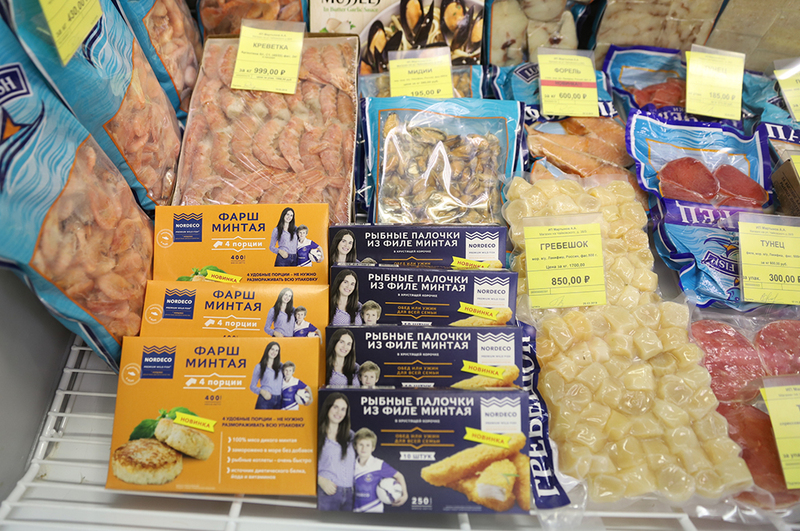 The Russian fishery company, which announced its retail brand for 'Alaska' Pollock, Nordeco, last year, has introduced the first retail products to retail chains in Russia. They will be sold at Caviar and Fish stores in St. Petersburg, and at Samberi stores in Primorsky Krai. Leading Russian pollock producers, together with the domestic fish authorities, have confirmed their earlier announced plans for the beginning of a massive expansion into the Latin American region within the next several years. As part of these plans, a particular attention will be paid for the increase of pollock exports, including value-added products, to the Brazilian market, where the demand for whitefish has significantly increased in recent years. Join SeafoodNews Weekly Recap co-hosts Lorin Castiglione and Amanda Buckle as they talk about the Newfoundland snow crab quotas for 2019; Alaska's salmon harvest numbers; the pressure on pollock; and Trident Seafoods' Protein Noodles hitting the East Coast. The Sea Okhotsk will remain a major source of pollock in Russia during the next several years. However, exploratory fishing works will also be conducted in other parts of the country, according to recent statements of Russian Rosrybolovstvo representatives and local experts in the field of fishing. SeafoodNews Podcast hosts Amanda Buckle and Lorin Castiglione are back from Seafood Expo North America! Join us as we talk about all things Boston Seafood Show - from Trident's Protein Noodles to the Chilean Salmon Marketing Council's "The Promise of Patagonia" campaign. Plus, find out where meal kits are heading in the future. Russia plans to increase its fish harvests up to Soviet-era figures during the next several years, according to recent statements of Ilya Shestakov, head of the Russian Federal Agency of Fisheries (Rosrybolovstvo). Last year, the total fish catch in Russia exceeded 5 million tonnes and, according to Rosrybolovstvo plans, these figures should reach 6 million tonnes within the next five years. Trident Seafoods is looking to expand the reach of their new 10g Protein Noodles. The company announced that after test marketing the product earlier this year at select club stores, they will be launching the product at Seafood Expo North America in Boston, taking place from March 17-19. Alaska pollock is one of America’s most important fisheries, and it is renowned for large product volumes and popularity. However, as one of the five common fish in the U.S., its status is threatened due to the ongoing trade war between the U.S. and China. If the situation continues or even worsens, drastic changes could occur to the global seafood industry, according to Chinese media reports. White Castle’s Shrimp Nibblers and Seafood Crab Cake Sliders are back for a limited time – and just in time for the kickoff of Lent on March 6. This is Alaska Fish Radio. I’m Laine Welch – There’s lots of February fishing going on. 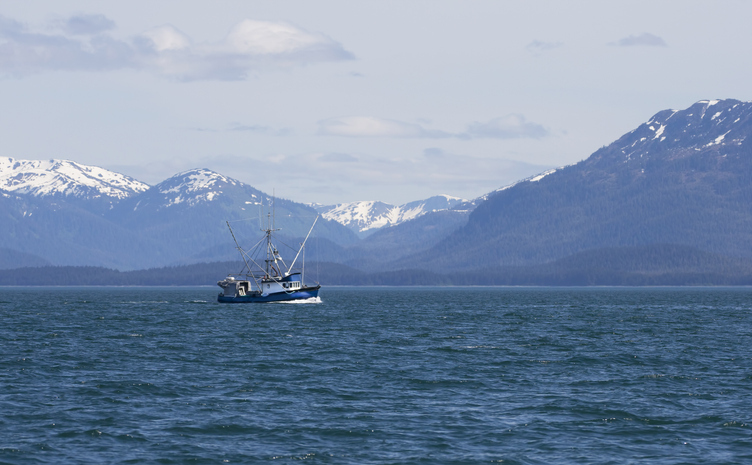 Hundreds of boats of all types are out in the Gulf of Alaska and Bering Sea targeting pollock, cod, flounders and other whitefish. Russia plans to significantly increase funding of research and development activities in the domestic fishing industry during the next several years, according to recent statements of some senior officials from the Russian Ministry of Agriculture and local fishermen. For this purpose, up to RUB 33 billion ($500 million USD) will be allocated in the building of new research vessels intended for Russian fishermen and marine scientists. We're back! Join Seafood News staff writer Amanda Buckle and Urner Barry seafood market reporter Liz Cuozzo for a new episode of the SeafoodNews Podcast. This week on the podcast we break down market reporter Janice Schreiber's latest salmon analysis. Plus, we discuss Trident Seafoods and True North Seafood receiving funding from the Association of Genuine Alaska Pollock Producers; SeaShare teaming up with Hook Line and Savor; Australis Aquaculture's barramundi in HelloFresh boxes; and much more. Watch the latest Seafood News Weekly Recap with hosts Amanda Buckle and Laura Zinger. This week on the video we talk about Trident Seafoods and True North Seafood receiving funding from the Association of Genuine Alaska Pollock Producers; market reporter Janice Schreiber's latest salmon analysis; SeaShare's partnership with Hook Line and Savor; and Urner Barry appointing veteran team member Gary Morrison to the position of Vice President. On Tuesday the Association of Genuine Alaska Pollock Producers (GAPP) announced that Trident Seafoods and True North Seafood have received funding awards for four new projects designed to develop new market opportunities for wild Alaska pollock. The Russian government will consider the possibility of extending the list of fish species quotas that will be open to oligarch investors with no fishing history in Russia. These quotas for which catch will be distributed through the auctions will be open to companies that do not have any prior fishing history, according to recent statements of the Russian Federal Agency of Fisheries (Rosrybolovstvo) and some senior officials of the Ministry of Agriculture. Leading Russian fish tycoons Alexander Tugushev and Vitaly Orlov plan to continue a fight for the control over Norebo, the country’s largest fish producer. Norebo holds harvest quotas for more than 400,000 tonnes of fish in domestic territorial waters, according to some sources close to the company and some leading Russian experts in fisheries. 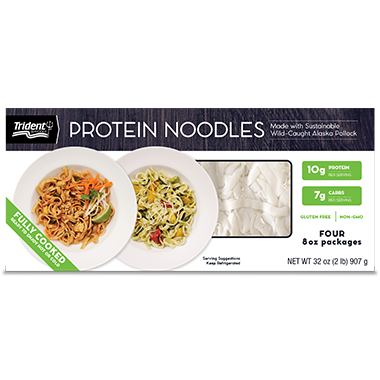 Trident's new 10g Protein Noodles are officially on the East Coast. 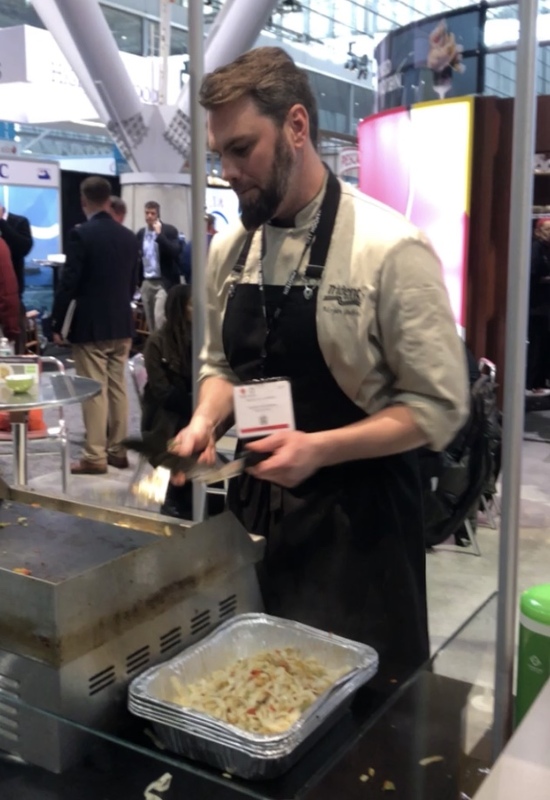 After debuting the versatile pollock noodles at Seafood Expo North America in Boston last month, Trident confirmed to SeafoodNews that a select number of Costco locations will be carrying the product. The Russian government plans to seriously tighten control for the sales of fish and seafood both in the domestic market and abroad with the aim to ensure additional supplies of domestic catch to local customers, according to recent statements of Russian Federal Agency of Fisheries (Rosrybolovstvo) representatives. Norebo, one of Russia’s largest fish producers and processors and owned by a local fish tycoon Vitaly Orlov, has reached an agreement with Russian shipbuilder Severnaya Verf, to build an additional four new fish trawler-processors during the next several years, according to the company. Those walking around Seafood Expo North America in Boston earlier this week were bound to see people wearing “I’m hooked” stickers. 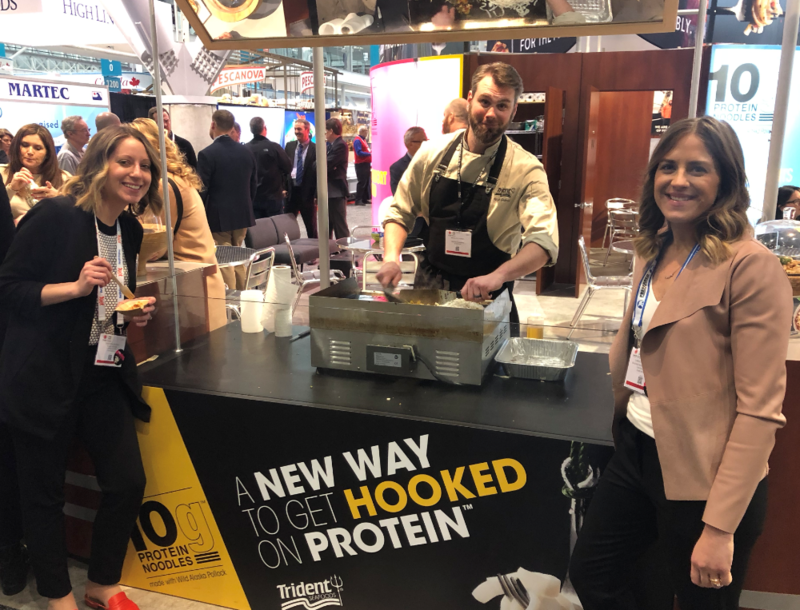 And attendees certainly were hooked… on Trident’s new 10g Protein Noodles. The transfer of the Kuril Islands to Japan, currently discussed by the governments of both Russia and Japan, may cost the Russian seafood industry up to $5 billion USD losses a year and a shortage of salmon in the domestic market, according to recent statements of some independent analysts in the field of fish business and experts of Rosrybolovstvo. According to analysts, the Kurils could be considered as gates through which all fish, and especially salmon, go to the Russian coast of Kamchatka and Sakhalin. This is Alaska Fish Radio. I’m Laine Welch. Trident Seafood’s protein packed noodles made from Alaska pollock was a quadruple winner at last week’s Alaska Symphony of Seafood competition in Juneau. Julie Decker is director of the Alaska Fisheries Development Foundation, host of the Symphony for 26 years. 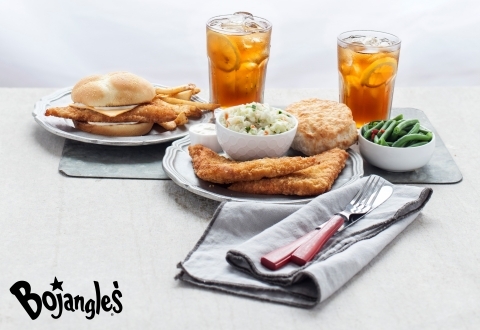 The BojAngler is back at Bojangles. The Southeastern regional fast food chain, which specializes in Cajun seasoning, fried chicken, and buttermilk biscuits, announced on Tuesday that for a limited time diners will be able to order their popular BojAngler fish sandwich. 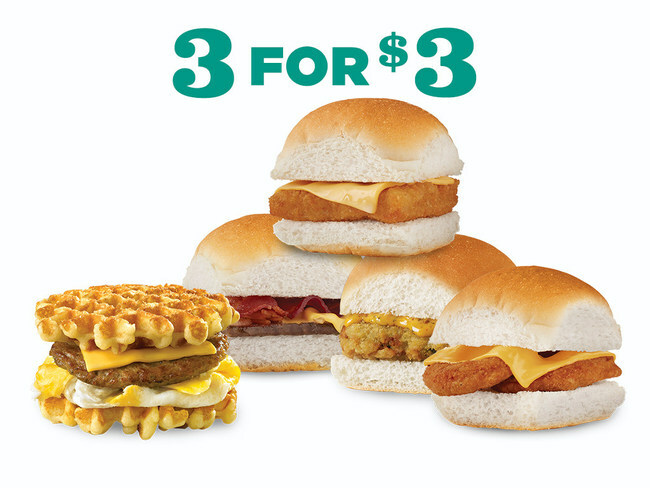 The North Pacific Cod Sandwich is back at Wendy’s – and just in time for Lent. The North Pacific Cod Sandwich is a limited time menu option added just once a year. The Lenten season staple starts with a wild-caught North Pacific cod fillet, which is hand-cut and lightly breaded with crispy panko crumbs. 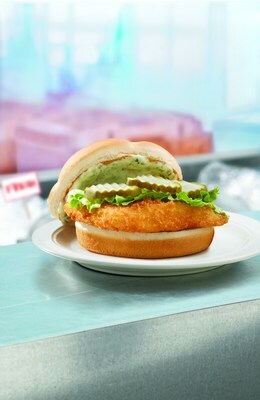 The fillet is topped with a creamy dill tartar sauce, dill pickles and crisp lettuce and served to fish lovers on a toasted bun. Portico Classic Wild Alaska Pollock Bites are the latest seafood item to be added to Sysco’s Cutting Edge Solutions platform. 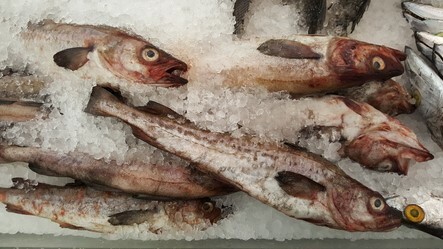 In the second of three rounds of funding for partnership proposals to build Wild Alaska Pollock’s brand, the Association of Genuine Alaska Pollock Producers (GAPP) announced yesterday that proposals for the second flight of funding will be due March 29, 2019. This round is focused on the second of three marketing targets -- addressing space or channels in retail, foodservice or alternative markets where Wild Alaska Pollock is not regularly sold. 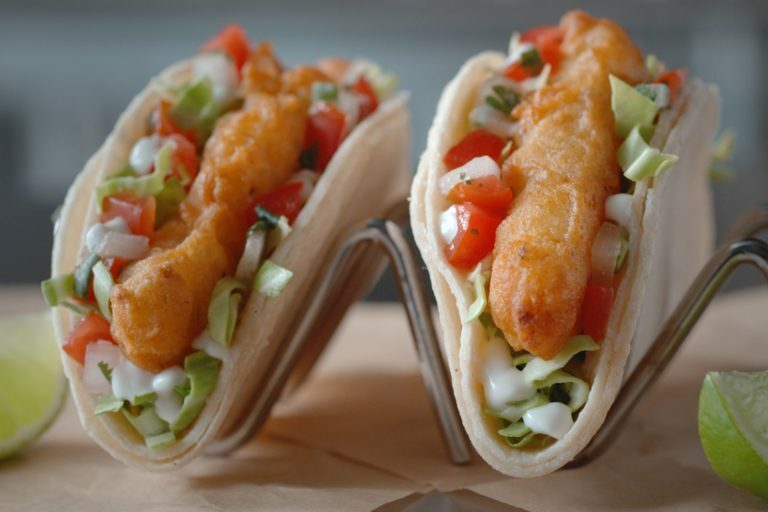 Mexican quick service restaurant Del Taco is expanding their seafood offerings. Russian Fishery Company (RRPK), one of Russia’s leading fish producers and processors, is continuing preparations for a significant increase of its pollock and herring catch, scheduled for the coming years. For this purpose, the company recently started construction of Russia’s first fish supertrawler. 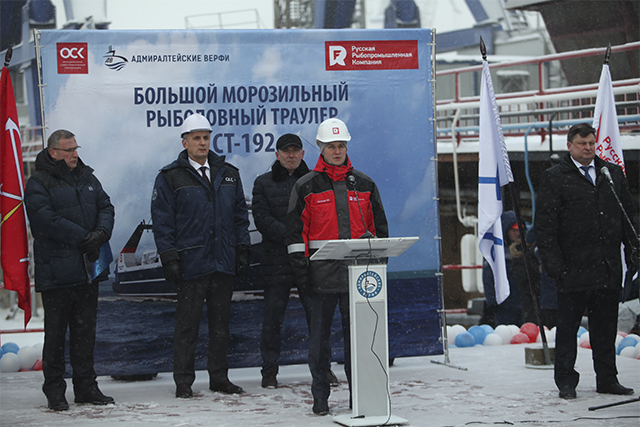 The ship of the ST-192 project is currently being built at The Admiralty Shipyards, one of Russia’s largest shipyards, which is part of the Russian shipbuilding monopoly – the United Shipbuilding Corporation. Last Wednesday, the new CEO of the Association of Genuine Alaska Pollock Producers (GAPP) issued a statement about the record USDA purchase of Alaska pollock. ”Today the U.S. Department of Agriculture (USDA) notified the Association of Genuine Alaska Pollock Producers (GAPP) of their commitment to purchase an additional 30 million dollars of Wild Alaska Pollock products to support the nation’s food banks and food assistance recipients,” siad Craig Morris, CEO of GAPP.